The door closed, and the car is on the other side. MICKEY MOUSE: Oh, yeah. You're right, Minnie. Maybe our last Mouseketool will help us! Everybody say: Oh, Toodles! 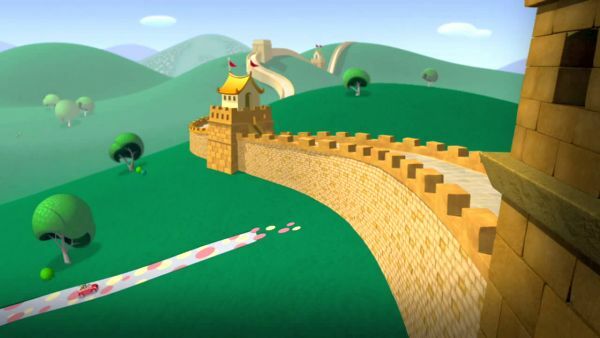 MICKEY MOUSE: Our last stop is gonna be the Great Wall! MINNIE: Oh, it looks like the one in China. How exciting! 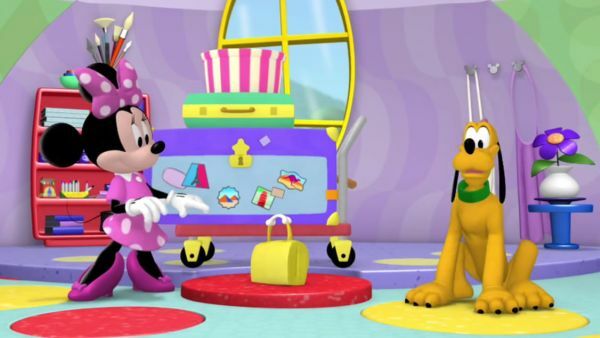 MINNIE: Ooo, our next stop is a pyramid! 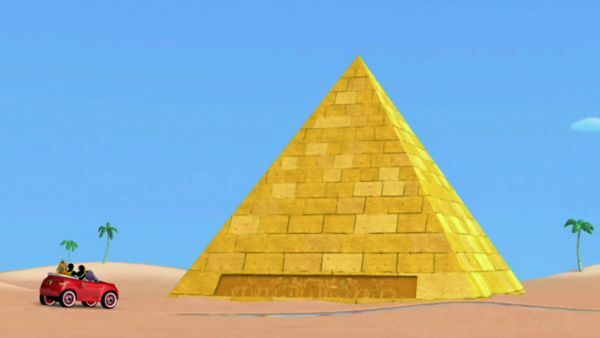 MICKEY MOUSE: Like the Great Pyramids in Egypt! 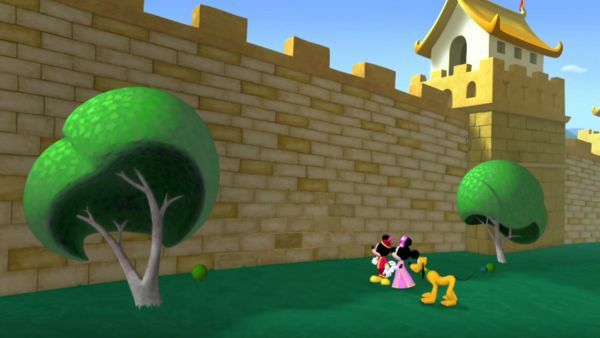 BOTH [singing]: C'mon, let's go around the Clubhouse World! Go go go! We're gonna find our way to places far away! Go go go! MINNIE: Oh, look! La Tour Eiffel! That's how you say the Eiffel Tower in French. 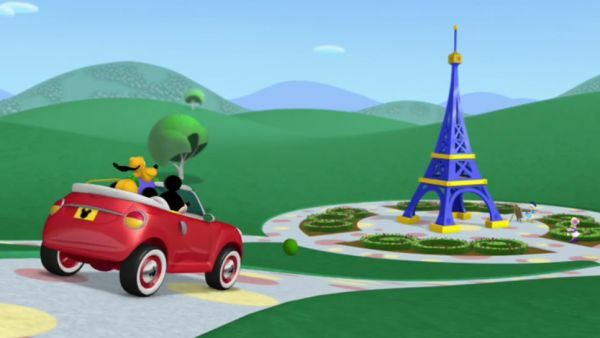 DAISY: Oooh-la-la Welcome to Paris Where everything is oh-so-pretty. 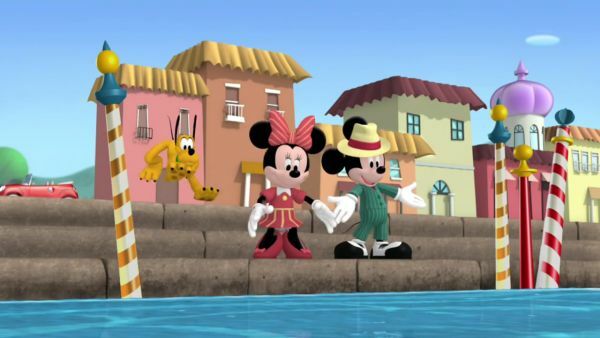 MICKEY MOUSE: Hi there, everybody! Welcome to our Clubhouse! 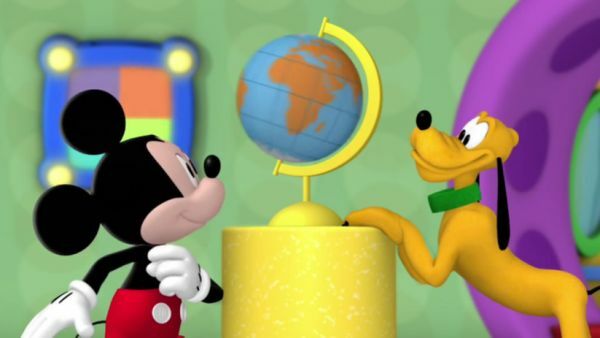 MICKEY MOUSE: Pluto and I are glad to see ya! Oh boy! That sounds like the Silly Switch! Aw, Pluto! That's not a bouncy ball, it's a globe.